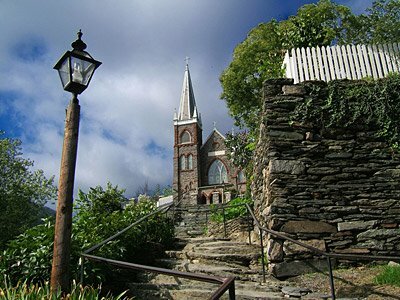 St. Peter’s Church, erected in 1833, still stands on a ridge in beautiful Harpers Ferry, West Virginia. The townspoeple carved the steps leading up to the church directly out of the hillside, composed almost entirely of shale. Despite Harpers Ferry changing hands nearly 14 times during the Civil War, the church survived the bombardments that damaged many of the structures throughout the rest of the town and served as a hospital for the casualties of both sides.